WE are coming towards the end of the 2016 section of the Premier League season, but already everyone is wondering whether Chelsea can be caught at the top of the table. The Blues are six points clear of second-placed Liverpool and are at $1.72 at Sportsbet.com.au to maintain their position at head of affairs by the end of the season. There are four games that stand out to us this week as bankable matches, so we decided to throw them all in one multi to get our readers some post-Christmas funds in their account. All odds for the 18th week of the English Premier League season were provided by Sportsbet.com.au, which is offering punters a fantastic carrot for those yet to sign up. First leg of our boxing day Premier League multi kicks off in the English capital as Arsenal host West Brom in an intriguing match up. The Gunners are looking to snap a two game losing streak after two tough away defeats. Arsenal has not lost three consecutive games since January of 2012. Coincidently, West Brom are looking to secure their third straight win after two impressive performances. In a results contrast Arsenal, the Baggies have not had a three game win streak since 2012. Arsenal look the much stronger side here. They return to the Emirates after a fortnight away from home and should be too powerful for their opponents. League leading Chelsea host Bournemouth in London for the second leg of our multi. The Blues have taken all before them so far this season. A win against the Cherries would hand the home side a club record 12 straight wins, two shy of the all-time record held by Arsenal. Chelsea will have to do it without key striker Diego Costa who will be out until the end of the year after accruing too many yellow cards. Bournemouth are looking to maintain an incredible Boxing Day run in the Premier League. The Cherries have not lost on the 26th of December in their last six outings. The visitors’ quality Boxing Day run should end here. Chelsea is the best team in the competition right now and they should extend their magnificent run to 12 straight wins. David Moyes returns to Old Trafford for the first time since his inauspicious stint as the Red Devils’ manager as Sunderland travel to Manchester. The Black Cats won last time out against Watford and will be confident of causing an upset away from home. Jermaine Dafoe will be looking to continue a league-high goal scoring record (6) on Boxing Day. Sportsbet.com.au is offering $3.60 for Dafoe to score at anytime. Manchester United finally look to be clicking on the pitch after a rough start to the season. A win on Boxing Day would hand the Red Devils their fourth straight win. Manchester United should be far too strong for Sunderland here and should keep our multi rolling into the final leg. The last leg of our Premier League multi sees Liverpool hosting Stoke at Anfield on Wednesday morning. The Reds left it until the last minute to complete a Derby Day win over bitter rivals Everton. Sadio Mane scored in the 94th minute of stoppage time to claim a famous win. Stoke is winless from their last three matches and their record against Liverpool does not make for encouraging reading. The home side has won five of the last six matches between the two teams. Liverpool currently has the best home record in the Premier League (15 games unbeaten) and they should be able to make it 16 in victory on Wednesday to give us a quality return. 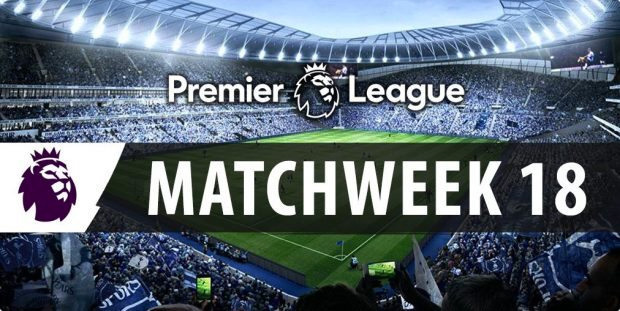 The Premier League has a number of games stretched across four days this weekend, so punters will have their work cut out putting together long-winded multis this weekend. It is always good to know that there are some betting agencies out there that have your back however, and will look after you if you miss out by one leg. Place a bet on the correct score market in David Moyes’ return to Old Trafford for the Sunderland and Manchester United match, and if your team wins but you do not nail the score you will get your cash back up to $50.